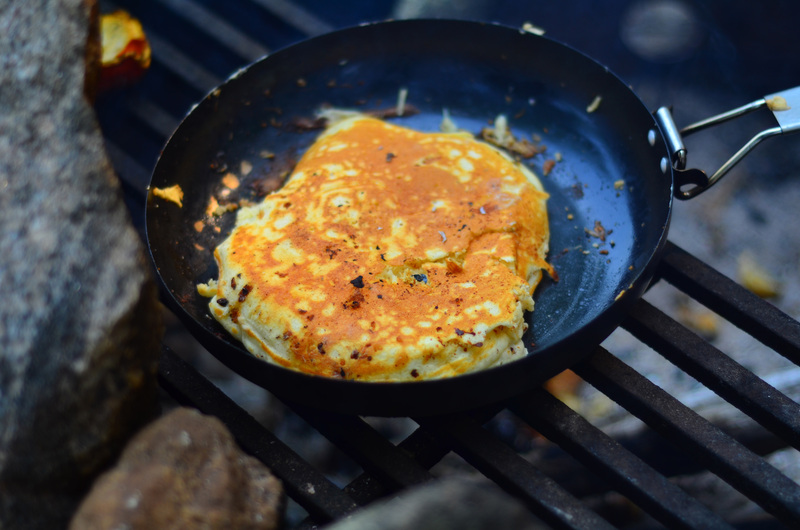 As you get your camping gear together and head out into the woods for one last hurrah, we’ve put together a little weekend campfire recipe collection for you. Just because you’re off playing in the dirt, doesn’t mean you have to resort to the sadness that is instant noodles. You don’t have to haul out everything including the kitchen sink, just a few thoughtfully planned ingredients will help you to create the kind of meals memories are made from. Thickly slice your French loaf. Make a small incision in each slice to create a delicious little bread envelope. Slice the bananas and insert the slices into your bread envelope. In a bowl, mix the eggs and a pinch of salt with 1 tablespoon of water. Place your pan on the fire or camp stove and warm to a medium heat. Dip your bread and banana slices in the egg mixture and place into the pan. Fry gently until brown on both sides. Place on a plate, drizzle in maple syrup and serve hot. The bread doesn’t have to be fresh so this makes a great breakfast for the second day of a loaf of bread. Forego the maple syrup and swap the bananas with strawberry jam and cream cheese for a New York Cheesecake version that will make you the king (or queen) of camping. Mix the flour, salt, warm water and olive oil into a firm pizza dough. Oil a skillet and press the dough into the bottom of the pan. Smear tomato paste on the dough and sprinkle onion over the top. 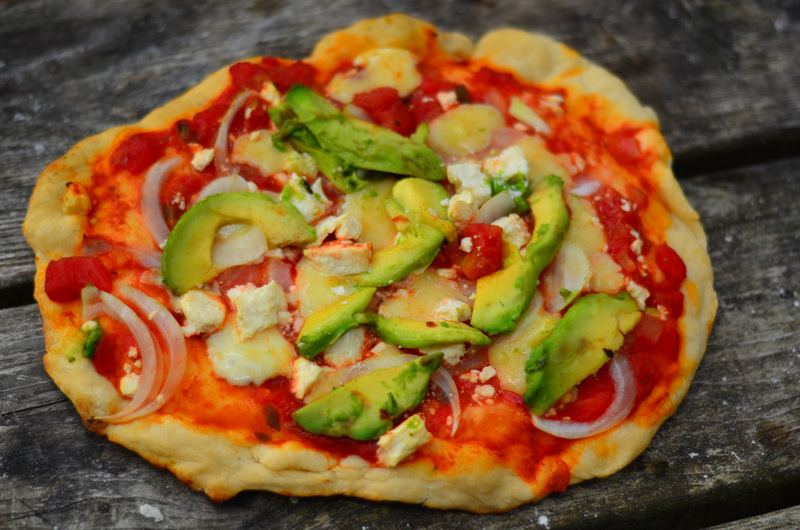 Top your pizza with cheese and place over medium hot coals. Place the lid on the skillet and bake until the crust has browned around the edges or put these straight on the grill with the skillet over the top for a crispier crust. Substitute fresh slices of tomato for the tomato paste if weight is an issue. Add bacon, ham, pepperoni, mushrooms or any other pizza topping of choice. Mix eggs and water together in a bowl with a fork. Crush the salt and vinegar crisps and place them in a plate. Put the oil in a pan over the stove or fire and heat. Lay each fillet in the egg (do both sides) and then in the crisps. Lay gently in the oil and fry for about 4 minutes on each side or until lightly browned. Cut the potatoes into fries and fry in the oil until golden brown. 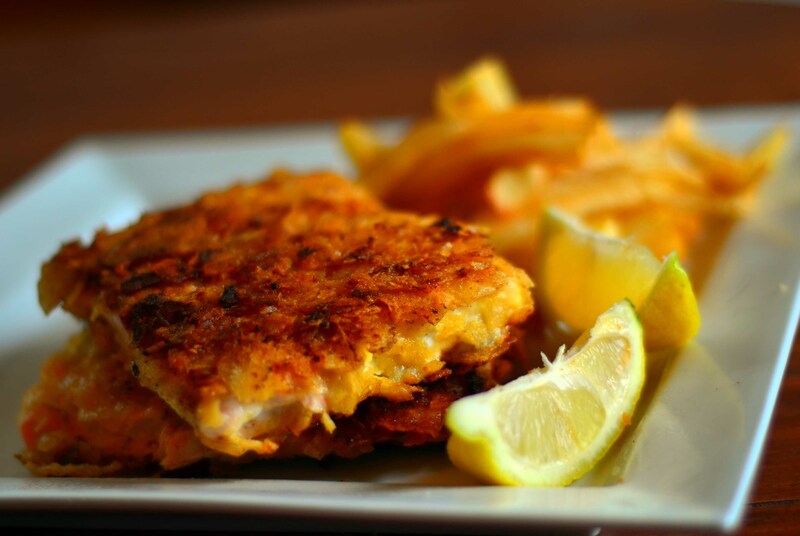 Serve hot with fish fillets and lemon wedges. You can use any white fish for this recipe. Mix the flour, baking powder, salt, milk powder together. Rub in shortening so it resembles bread crumbs. Store in a sealable plastic bag or a Mason jar. Pack in your backpack until you are ready to make pancakes. Then add enough water to make a pancake batter. Fry in a pan with a little oil over warm coals. 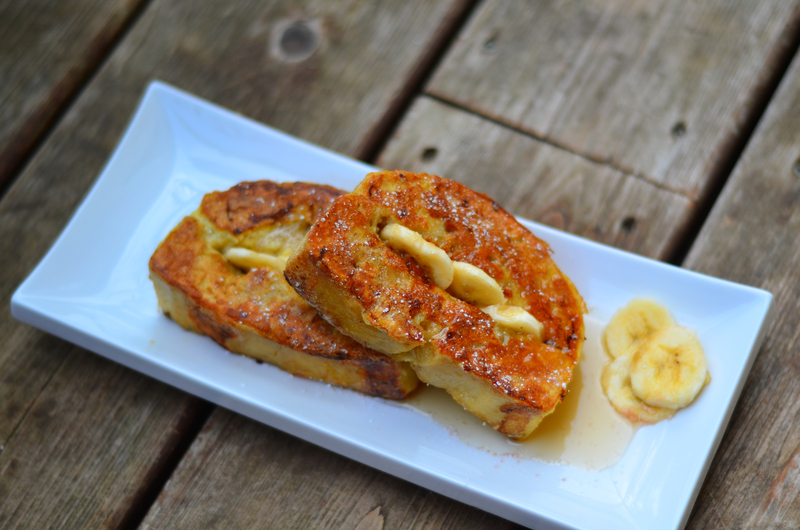 Serve with fruit, syrup, peanut butter or butter. Shortening does not need to be refrigerated, so this mix can last up to 6 months. Cut the avocado in half and remove the pit. 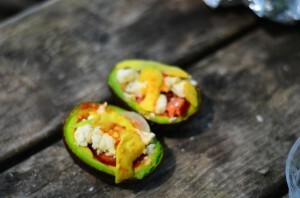 Use a spoon to scrape a little of the avocado out to make a bigger space to hold the filling. Mix the avocado you just removed in a separate bowl with the salt, pepper, chili, tomato and onion. Spoon into the avocado and top with feta cheese. Wrap in foil (shiny side in) and tent the foil over the cheese to prevent sticking. Place over hot coals for 15-20 minutes until the avocado begins to brown. Need a little good karma? ‘Like’ us on Facebook and get more good vibes than you can shake a sharp stick at.